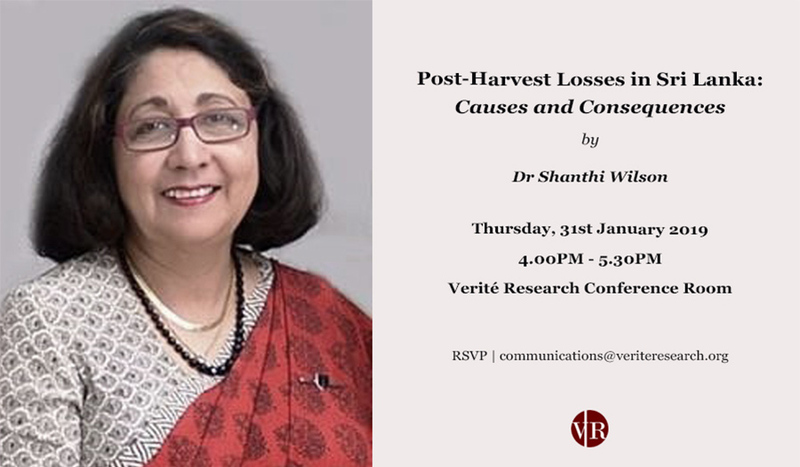 High levels of post-harvest losses continue to persist in fresh produce value chains in Sri Lanka. This is despite the problem having received the attention of successive governments over the past 35 – 40 years. Further, university faculties and research institutes in the country have not been able to contribute effectively to address this issue. Minimising post-harvest losses is essential to facilitate the food security of a nation. Loss reduction not only entails the careful handling of produce from time of harvest until it reaches the consumer, but also includes the adoption of good pre-harvest agricultural practices in order to optimise a product’s post-harvest quality. The speaker presented the reasons for the persistence of the problem, its consequences, and highlighted some issues that need to be addressed if post-harvest loss is to be reduced to internationally acceptable levels – i.e., not exceeding 10%.